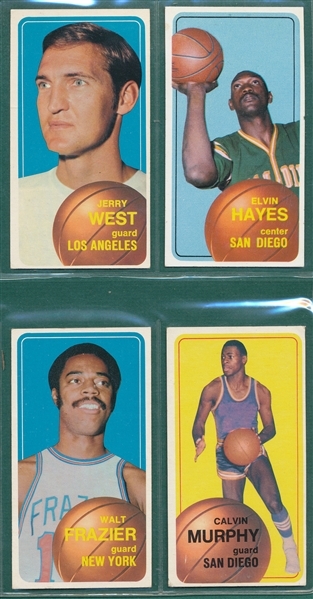 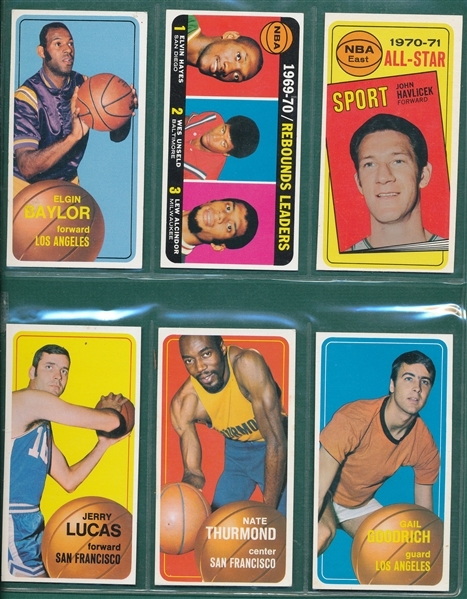 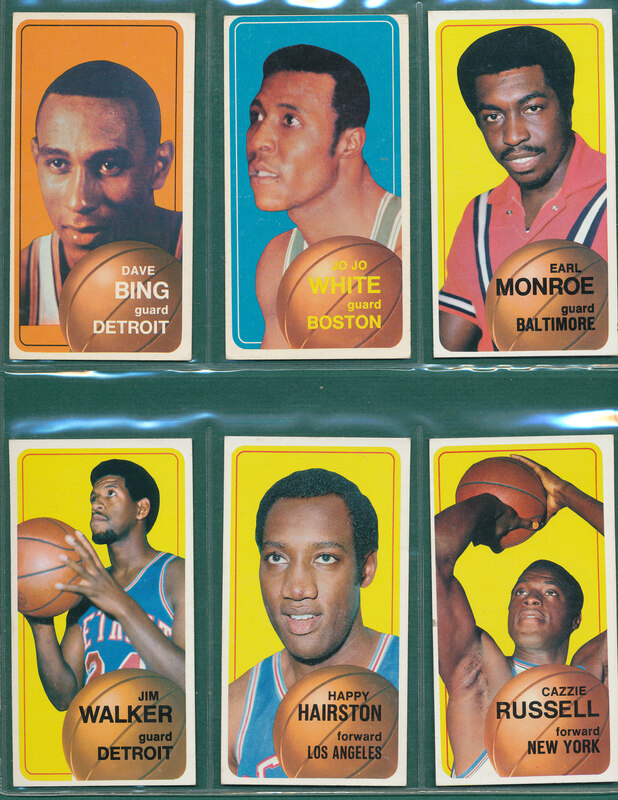 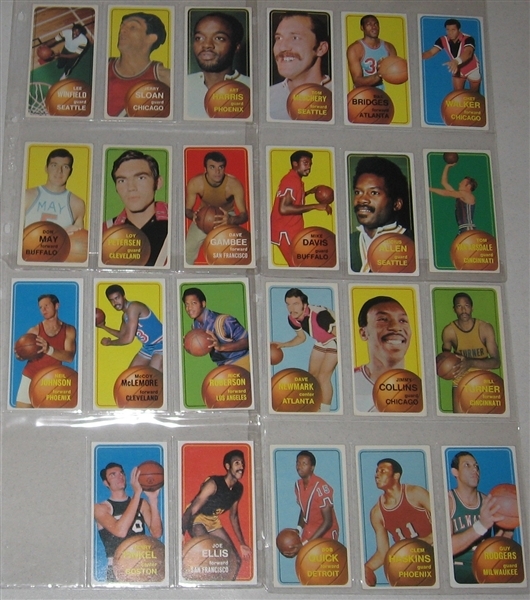 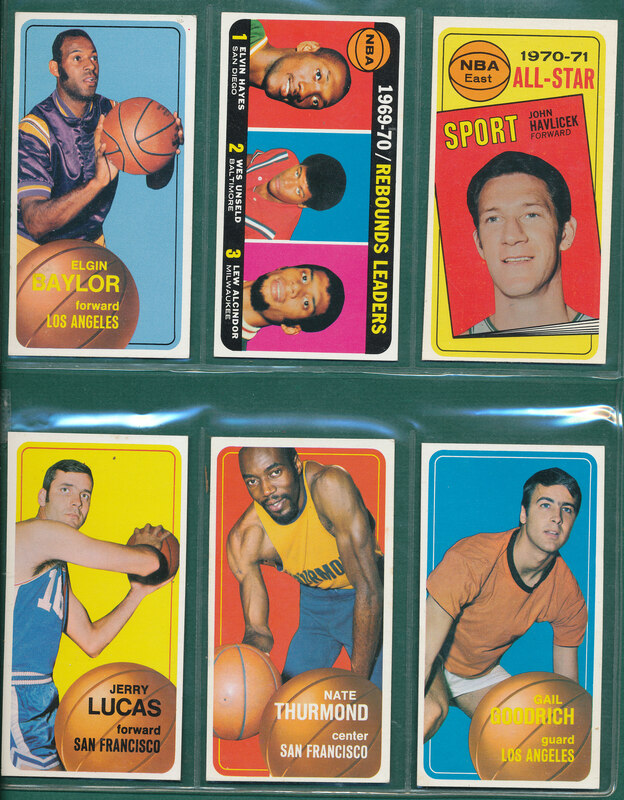 Attractive 1970 Topps basketball partial set (123/175), highlighted by Hall of Famers #20 Monroe, EXMT+, #46 Jerry Lucas, NRMT, #50 Wilt Chamberlin, crease free with light to little corner wear, back is OC 0/100, #65 Elgin Baylor, EXMT-, #70 Elvin Hayes, rookie, VGEX,#90 Thurmond, rookie, EXMT-, #93 Goodrich, NRMT, #100 Oscar Robertson VGEX, #114 Oscar Robertson, All Star, EXMT, #112 Havlicek AS, EXMT+, #120 Frazier, EX+, #125 Bing, EX, #137 Calvin Murphy, rookie, VGEX, #143 Jo Jo White, VG, and #160 Jerry West, EX with surface wrinkle. 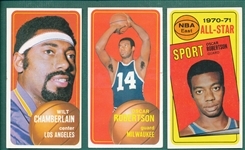 Plus #5 Rebound Leaders with Lew Alcindor, EXMT+. 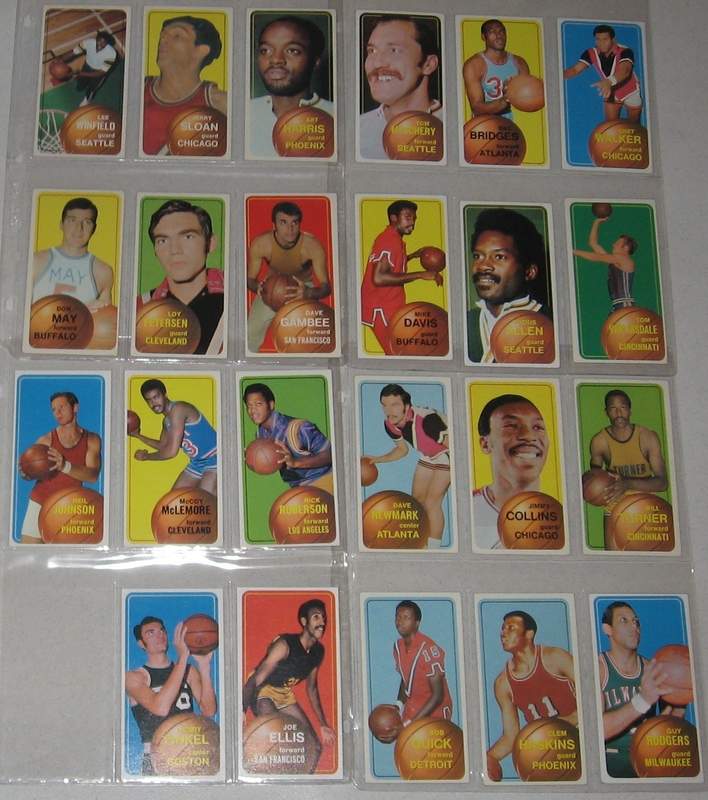 Lot breakdown is 5% VG, 5% VGEX, 45% EX, 35% EXMT, 10% NRMT or better.